Rummy 500 is an entertaining card game which is a favorite of many and one which many people have grown up with. In the Rummy 500 rules the cards will all have point values. The Ace is worth 15, unless played with a 3 and 2 at which point it is a 1. The face cards are 10 points, and the other cards play as the value they read. In this game the players will be trying to score the most points by building and laying down “sets”. The sets consist of a group of 3 or more cards that go together in order to form a particular pattern. The players will pick up a card from either the discard pile or the stock pile when it is their turn, they will then discard an unwanted card. If they chose a card out of the discard pile the card they chose needs to be laid down in a set immediately unless they only picked up one card from the discard pile. If they choose to pick up a card from the discard pile then they will need to pick up all of the cards on top of that card and keep them in their hand. During the game the players will be working on building their sets and getting rid of the cards they don’t need. It is important to point out that a player can only lay down their sets while it is their turn. If they forgot to lay a set down while it was their turn then they need to wait until their turn comes around again to lay that set down. The game comes to an end once a player lays down the last card in their hand. At this point the cards the players have laid down will be calculated. Then, the point value of the cards they still have left in their hand will be deducted from the total of the cards they laid down. The winner of the game will be the player that comes up with 500 first. However, if there are two or more players with 500 points, then the player with the highest score is the winner. Rummy 500 has become a favorite with card players and families. Anyone looking for a fun card game that provides them with plenty of action and competition will want to give Rummy 500 a try, they may find that they now have a new favourite rummy card game to play online. 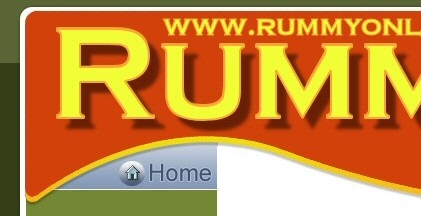 Try our Rummy 500 tutorial.